Teaching with a Twist of Liam: Positive Forcasting: Try now for free! 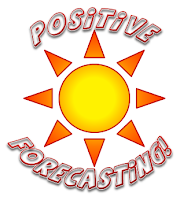 Positive Forcasting: Try now for free! My girlfriend, Alanna, has been attending a series of seminars about behaviour management and came home with a really simple but exciting idea. I know that for some, this is already part of your practice but for the rest of us, try Positive Forecasting. "What is that?" you ask. Well, Positive Forecasting is a not-very-complicated term for a not-very-complicated strategy. It won't stain fabrics and it is safe for children of all ages. Best of all, you don't need to buy or make anything! Walk to the gym in a quiet single file line. How many kids will walk to the gym in single file with lame, boring instructions like that? I'll tell you who: just the ones that would have walked to the gym in single file anyways! Now, we're going to walk to the gym quietly. I know you can do this! You know you can do this. You are an AWESOME bunch and staying in a straight, quiet line is going to be easy! Can you believe it? With Positive Forecasting, the kids were SHAKing with excitement and wanted to show their teacher he was right! They knew they can do it! They arrived with no problems and there were high-fives all around! Awesome! To get your own Positive Forecasting, simply tell your kids how easy the task is going to be! Be that inspiration they need and make them see the success before they even start. Easy, eh? You are so clever, it will be a piece of cake for you! I know you can totally do this in your class! Free Educational Resources from Disney! The Walking Classroom is here! It’s not cheating unless you get caught, right? Stay Fresh! Keep Up with TwistofLiam! Get instant emails! Sign up here! Awesome blogs to check out. Share the ideas but credit your source. Enjoy. Watermark theme. Powered by Blogger.